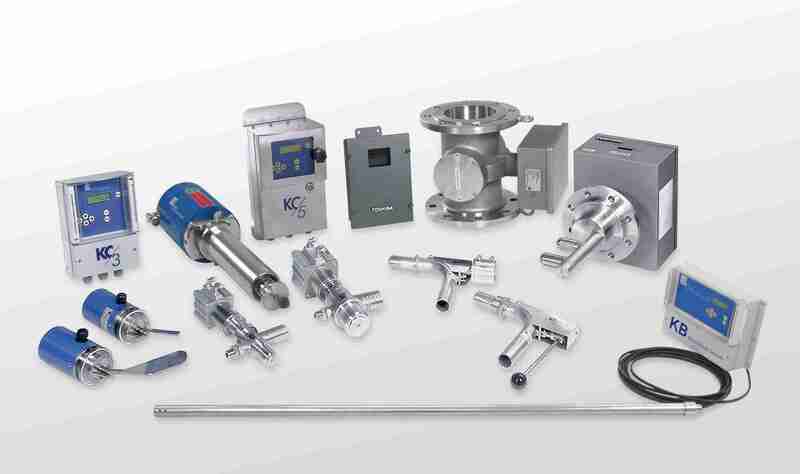 Kajaani Process Measurements (KPM) launches a NEW rotating consistency transmitter. The KC/5 follows the same success criteria as the KC/3 blade consistency transmitter and I know it will create the same excitement. It will become the new standard for rotary consistency sensors which all others will have to compete against. At an attractive introductory price it is also an unbeatable deal. The KC/5 offers no compromises. Excellent rotary performance, light weight sensor, ease of installation and dramatically reduced maintenance make the KC/5 the new standard for rotary transmitters. State of the art torque measurement technology gives instant and accurate measurement result without delays. 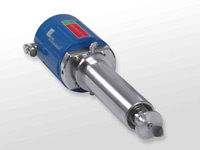 Sensitive, wide range measurement technology covers consistencies 1.5-16 % with same sensing element. Built-in temperature com­pensa­tion. 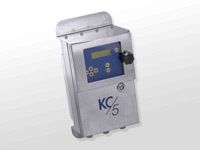 KC/5 is easy to install, replace your older model rotary transmitter with KC/5 using supplied adapter to fit your existing measuring vessel. For new installations, supplied installation cone means no expensive expansions. All required hardware is included in the delivery. KC/5 needs only a single-phase power supply of 85 - 264 VAC, 150W. No drive belt changes any more, Direct Drive Servo Motor never needs maintenance. Dual Mechanical Seal extends the maintenance interval. 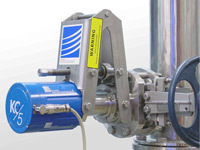 Built-in gate valve assembly allows user to extract transmitter “on the fly”, at process pressure, without having to shut down the process or drain the line. Automatic maintenance procedures include reverse direction rotation to automatically loosen foreign objects. Calibration check possible during operation.